Jim Henson – The Biography by Brian Jay Jones is a new book that looks back at the man behind the Muppets. Written with the full cooperation of the Henson family, this is the first complete and comprehensive biography of one of the twentieth-century’s most creative innovative artists. LookToTheStars.org’s Tim Saunders looks back at the life of Jim Henson and the legacy he left behind. When I was little, and grown ups would ask what I wanted to be when I was older, I never hesitated in replying “Kermit the Frog.” Times have changed (I now answer “astronaut” to most enquiries), but Kermit’s wit and wisdom is timeless and never forgotten – and I can safely say that the Muppets have enriched the lives of countless kids and still live in the hearts of those who inevitably grew up. 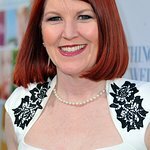 It was a belief that saw its beginnings in a small town in Mississippi, with its laughter-filled nights around the family table, and blossomed in a TV and film career that included Sesame Street, The Muppet Show, Fraggle Rock, The Dark Crystal, Labyrinth, The Storyteller and a myriad of shows and productions that touched hearts and minds with their uniqueness, zaniness and unwavering optimism. One of those “situations” was the environment. Jim was passionate about nature. And in 1983, he started using Kermit as a spokesfrog for issues that he cared about. The first of these was a series of National Wildlife Federation PSAs featuring Kermit and Fozzie talking about clean water. The following year saw Kermit deliver the keynote speech at the National Wildlife Federation’s annual meeting. Kermit went on to help Ted Turner's Better World Society in 1989, assisting the organization educate the media on social and global issues. The Muppets continue to raise awareness of causes today. In 2009 they joined with Desperate Housewives stars Teri Hatcher and James Denton to inspire families to volunteer in their communities. That same year, Kermit joined Prince Charles in a video promoting the protection of rain forests. 2010 saw Kermit auction a paper heart for Variety Kids, and in 2011 he joined Jason Segel at the Fulfillment Fund's STARS 2011 Benefit Gala. Ellen Pompeo joined Elmo in 2010 to encourage healthy eating. Muppets are used to bring understanding to our often confusing world, to make us confront issues such as HIV/AIDS in a way we can relate to. Characters from Sesame Street visited military families in Guam and South Korea in 2011, and John Mayer helped Big Bird and the gang raise children’s awareness of the struggles of military families in a TV special in 2009. Jim also wanted to inspire a new generation of puppeteers – and in 1982 he established the Jim Henson Foundation to promote and develop puppetry in the United States. Since it was established, the organization has made over 600 grants to new works of contemporary American puppet theater. Find out more here. In 1993, Jim’s wife, Jane Henson, set up the nonprofit organization Jim Henson Legacy, which is dedicated to preserving and perpetuating Jim Henson’s contributions to the worlds of puppetry, television, motion pictures, special effects and media technology. Find out more here. Jim Henson set out to make the world a better place. He wanted to change attitudes, he wanted to change lives. He wanted to inspire laughter, he wanted to have a positive impact. And it is a legacy that continues today through the Muppet performers, and those of us who still carry Kermit round in our minds and hearts. “He changed our lives,” said long-time collaborator Jocelyn Stevenson at Jim’s funeral. " He changed the world. And we’ll continue his work, because that’s how inspiration operates. People die, but inspiration lives and grows. Inspired by his gentleness, we’ll fill the world with gentleness. Inspired by his vision, we’ll fill the world with vision. Inspired by his chicken imitation, we’ll fill the world with laughter. He did – for the lovers, the dreamers… and you. 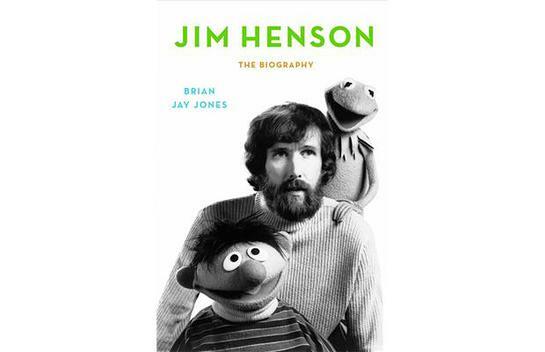 Jim Henson – The Biography by Brian Jay Jones is available from Amazon.com by clicking here and from Amazon.co.uk here.